A warm welcome awaits you by Debs and Mike at our small family friendly Bed and Breakfast, that caters for holiday makers, short stays and those on business. 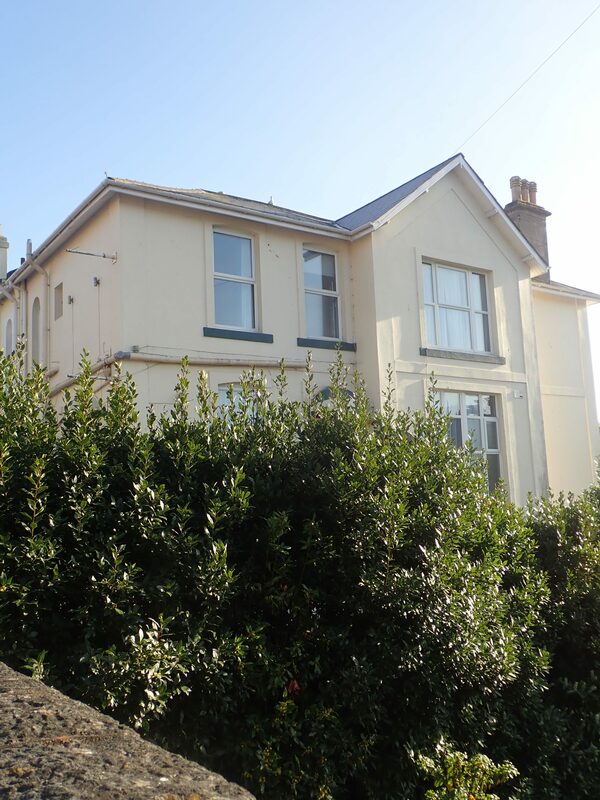 Acorn Lodge is situated in a leafy conservation area, ideally located to all that Torquay has to offer. Acorn Lodge offers 6 en-suite rooms, each with different arrangements varying from single occupancy to full family, including a deluxe king room with balcony. All rooms are serviced daily to a high standard to maintain comfort and relaxation. A full cooked breakfast is included in the price, with Gluten Free and Vegetarian options available. There are also other various breakfast options, offered on the menu. Breakfast is served between 8.30 – 9.30 am. We also offer an earlier breakfast or take away breakfast for those that require it with prior notice. Colouring sheets and pencils are available for children to use while guests relax and enjoy breakfast. The dining room is on the lower ground floor, which gives access to the decked terrace area, where you can relax with your Tea/Coffee. This area can also be used for you to enjoy your drinks and/or evening take away. This can be accessed from the outside stairs off Bridge Road or the Private Car Park. Acorn Lodge is a non-smoking establishment, but has designated smoking areas outside, one by the front gate and one by the guest decked terrace.